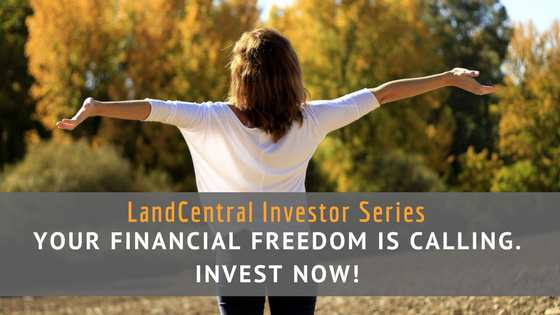 Home | Land University | Investing In Land | Your Financial Freedom is Calling. Invest Now! So you’re ready to invest. You’ve read through our Investor Series, educated yourself on the top 6 ways to make money on land, and even learned how to avoid the 5 ways investors fail. The only thing left to do is find property and begin your investing journey. That’s where LandCentral comes in. You didn’t think we’d bring you all this way and not deliver the goods, did you? Our brand new Investor Packs take the guess work out of investing. We’ve grouped properties together based on your investor level: Beginner, Intermediate, or Savvy. Why? Because we’re experts at this. And thanks to our Investor Packs, we’ll make you an expert too. They’re basically the mini-vans of the property world. Perfect to get you started. Some of them include higher taxes or HOA dues, but that only means they’ll have quicker resale opportunities. Exactly what you want to get you to the next level. These bundles are for the big players who know how to buy, flip, maintain and sell like a boss. Sure, the investments are big, but so is the ROI. Still not convinced? Find out What LandCentral Can Do For You.